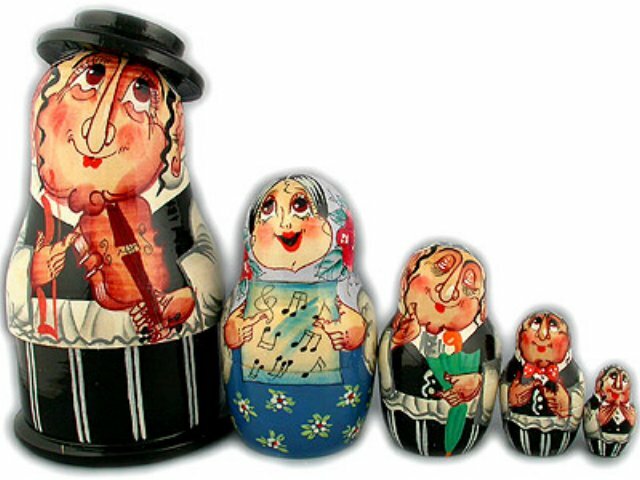 In Sergiev Posad, the artists make several variety of Jewish family nesting dolls. This nesting doll has very unusual shape. The top portion of the largest doll is intentionally larger than the bottom, to form a shirt that hangs out from the pants. There are 5 figures in the nest including the Father, the Mother and children, all enjoying the father’s violin playing.